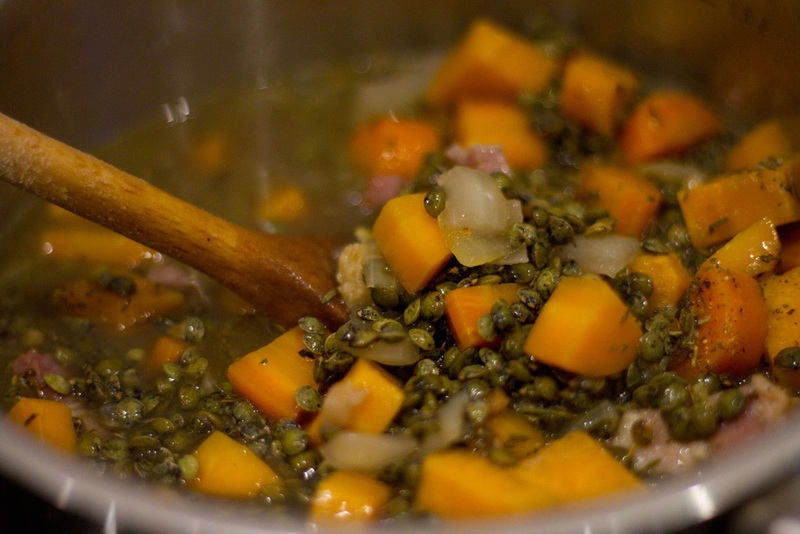 So a nice little lentil recipe, I think it’s quite a traditional recipe but this is another one from my friend Delphine. This one will probably make it into the book but I’ve not quite figured out what to have this with yet so this is just a nice little lentil thing to have with some salad or some roast chicken. Super healthy and good if you are a vegetarian. Obviously leave out the bacon, unless you are one of these vegetarians who likes bacon although that would be weird. So for this recipe you can add any vege you fancy really, but ill just keep this simple. If you are adding any more vege then add it after the onion and carrot stage before you add stock unless you add something like peas. You will need. Green Lentils just give them a rinse under cold water but make sure to get lentils that dont need to be soaked first. Chicken or Vegetable Stock if you dont have any stock you’ve made yourself then use a good quality stock cube or one of those pouches of nice stock. 1. ok so dice the carrot and onion. Get 2 cloves of garlic and a peel and add to a pan with some extra virgin olive oil. 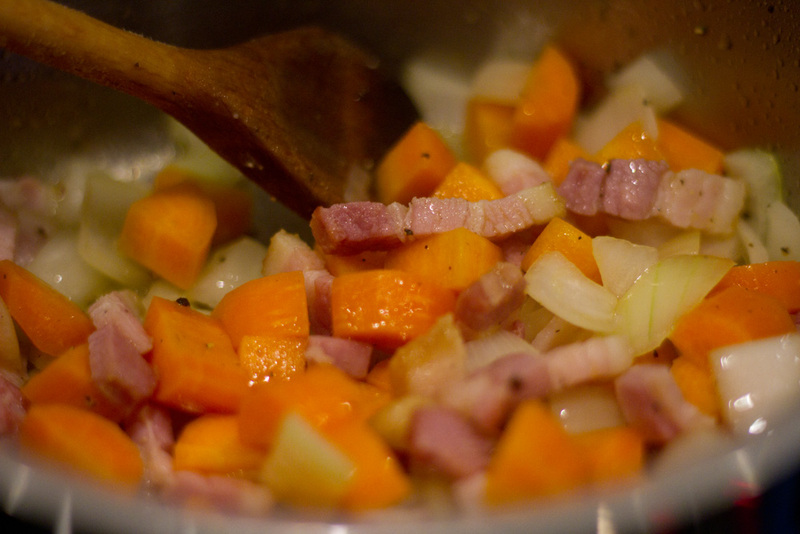 Let this cook for a min or 2 so it takes some colour on all sides then add the bacon, cook for a few mins so it starts to crisp up a bit then add the carrot and onion. Season with salt and pepper and cook for about 6-7 mins. Cook this over a medium heat. 2. Now add the green lentils. About 200 grams should be plenty. 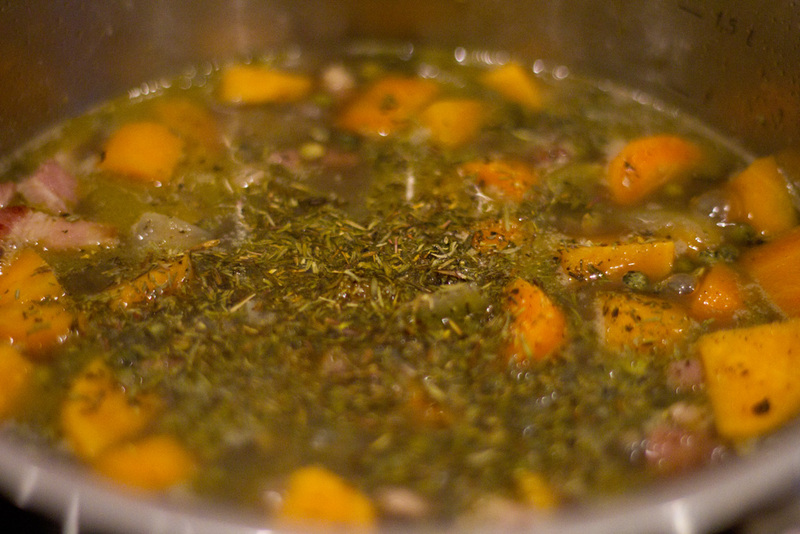 Give this a stir and add the stock and a teaspoon of dried thyme. 500ml of stock should be about right initially. Let this come to the boil and then turn down to a simmer. Put on the lid and let this cook for about 30 mins. 3. 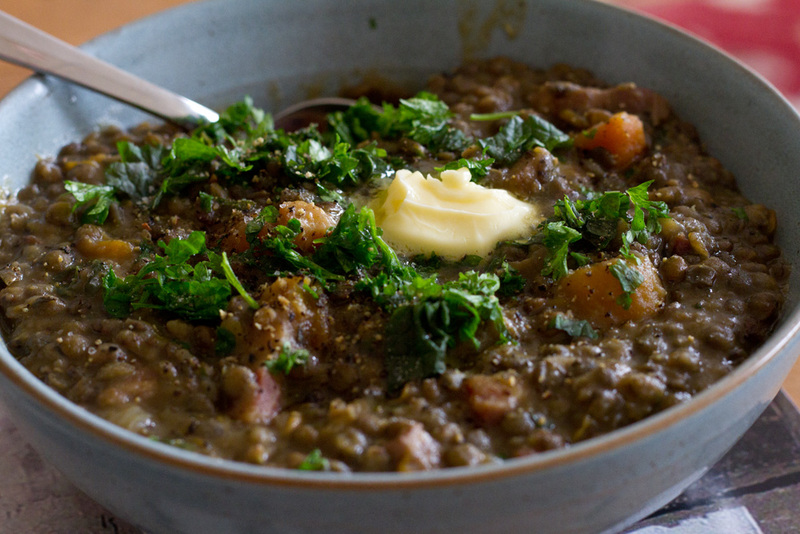 The stock should have reduced and the lentils will have softened. You want them to have a bit of bite but not crunchy and not too mushy. Now you might need to cook it for longer if you want them a bit softer. I cooked them for about 10 more mins and added a splash more stock. You don’t really want much liquid left, it’s almost like a risotto consistency, maybe slightly runnier. 4. Once you are happy with the consistency remove from the heat add a handfull of chopped parsley and a handful of chopped mint and 2 knobs of butter. Put the lid on and leave like that for 3-4 mins. 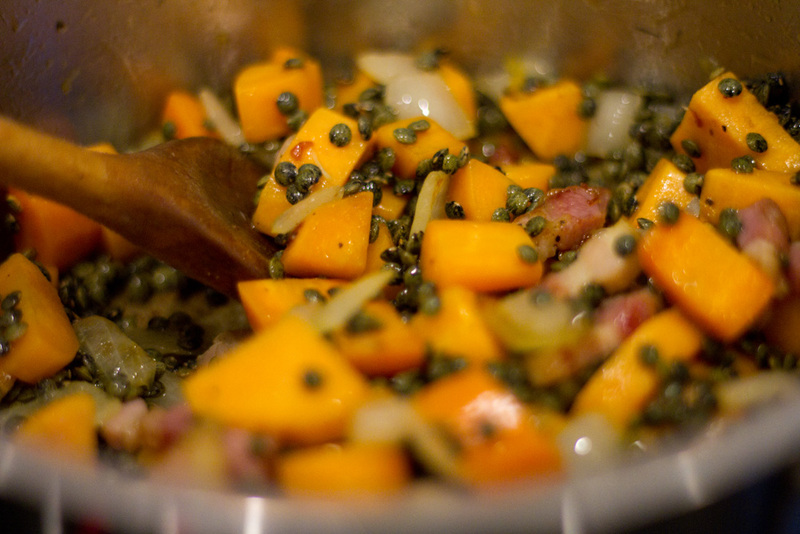 Now remove the lid and stir the herbs and butter into the lentils. If you want to make this a bit more funky then add a handful of grated parmesan and stir into the mixture. Sorted. Serve as is for a nice lunch snack with some salad or cook up some chicken or turkey and some steamed vege for a really healthy meal. 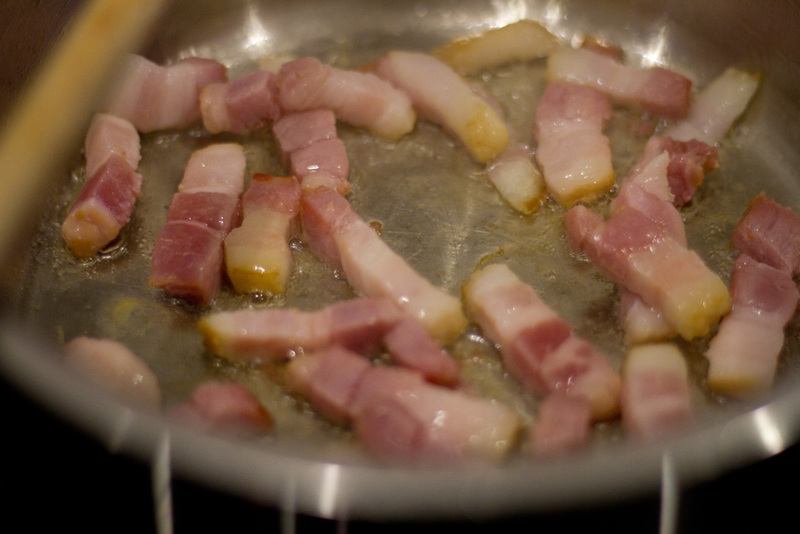 If you want it extra healthy leave out the bacon. I had leftovers of this yesterday with some baked cod, peas and new potatoes with some of the lentil mixture spooned on top of the cod. It worked really well. I’ll refine that idea and get it up on here soon. Hope you enjoy!